athlete’s foot, bacterial conjunctivitis & uncomplicated urinary tract infections. There are many ailments that patients often have but are not sure what to do about it and whether they need antibiotics or not. Often patients will contact the surgery, go to the walk-in centre or even go to A&E because you are unsure. Who wants to wait for a doctor or nurse to call back or go to some place if you could find out what to do wherever you are and see trusted information about common problems you can solve? Here you will find some of the best information that we have gathered to help you know what to do and when to seek help. Perhaps you have had a similar problem in the past and spoken to your doctor or nurse who has provided information on what to do and what to look out for? 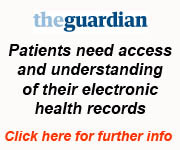 You may be able to read what they have advised in the past and is in your records as well as looking at the information on this webpage to help you decide what is best for you and your loved one. 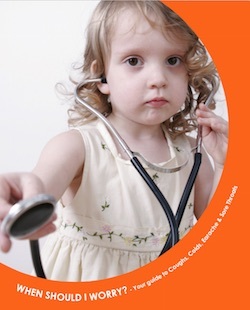 Click here to read a booklet informing you if you have a child who is ill with a cough, cold, earache and sore throat. It has been produced by researchers at Cardiff University and helps to inform you whether your child needs antibiotics or not and how long you would naturally expect a child to have these symptoms for. It also informs you when you need to get help if your child begins to worsen. The guidance has been proven to work and has shown many children do not need antibiotics for common colds etc. See below a list of the top 10 ailments that can be safely self managed. We have grouped together 4 websites that can give you further information about how to manage each condition - NHS Choices, Map of Medicine, NHS Direct and Patient.co.uk. Below you can find the top 50 conditions that people present with too and advice on what to do.